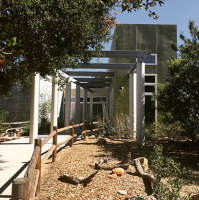 The museum grounds were damaged during the 2018 Woolsey fire. We are collecting donations to help cover the cost of repair. Please visit our GoFundMe for details on what was damaged and how your money can help. 11-3pm Learn about traditional plant knowledge and customs of Chumash People, featuring talks, demonstrations, and crafts. Included with museum admission: $5 adults, $3 seniors, students and children. 7PM At the Conejo Recreation & Parks District headquarters, Join us as Dr. Krupp discusses celestial symbolism and its connection to the stories and ceremonies that framed the lives of indigenous Californian's. 7PM Free Admission. Heidi Lucero is an Indigenous Anthropologist and a descendant of Acjachemen and Mutsun Ohlone tribes of California. She will be discussing the revitalization of California Indian face tattooing. al heritage and continuity. Explore exhibits on the history of the Chumash people. Attend a lecture about modern Chumash culture. Bring a classroom to see and hear firsthand the story of Native American culture. 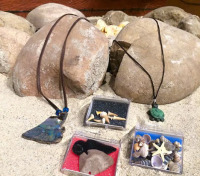 Browse our gift shop for educational, artistic and decorative items which embrace Chumash culture and the natural world. 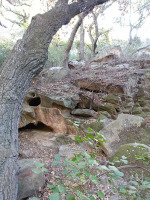 Walk the grounds to experience an oak woodland. Stop by the Chumash demonstration village. See the remains of a local homestead from years past. Enjoy a picnic lunch amongst the trees. We are looking for a few good folks! Assist with school field trips, provide information in our galleries and help manage our collections.